Note from me: I have decided to publish the interview in 2 parts to do justice to this important interview. Although some of the reminiscences are rather long, they cover a period so relevant to us and so likely to rekindle our own experiences that I decided to minimise editing as far as possible although Sanath very kindly gave me a free hand to do so. Part 2 will be published very soon. 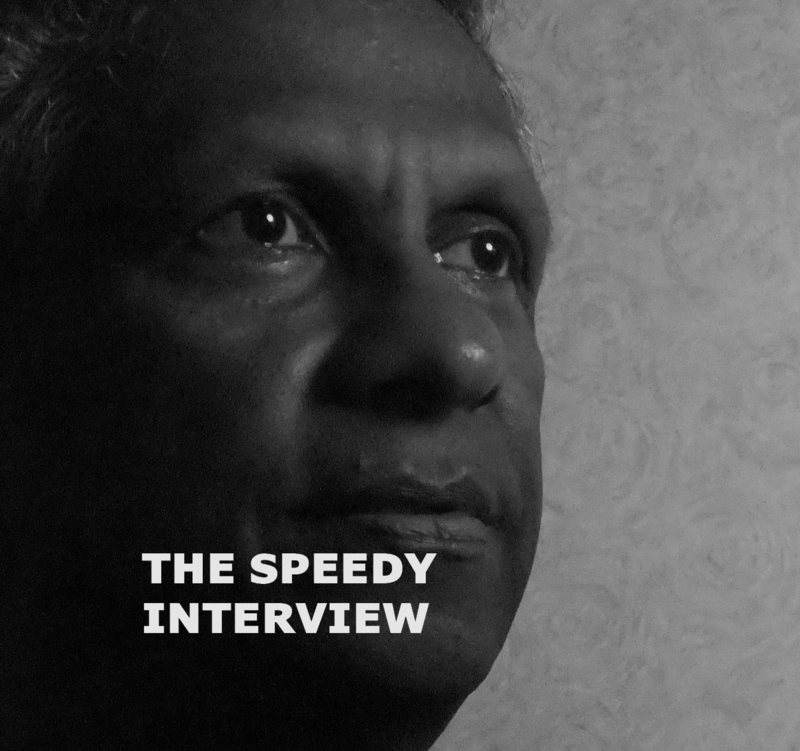 It gives me great pleasure to do the fifth Speedy interview. The last four interviews in order were Cyril Ernest, Zita Subasinghe Perera, Lucky Abeyagunawardena and Suriyakanthie Amarasekera, all of whom have distinguished themselves in their chosen careers. My fifth subject is the charismatic and most distinguished Paediatrician, Prof. Sanath P Lamabadusuriya, a batch mate who has reached the pinnacle of success in his field. Speedy: Good morningSanath. I would like to call you Sanath in this interview although we are much more accustomed to calling you Lama. Sanath: Good morning Speedy or should I call you Mahendra? I don’t mind being called Lama but I would prefer Sanath. Speedy:I don’t mind either and for some I shall always be Speedy, to others Gonsal or Mahendra. It really depends on the stage of my life when I entered their lives. Sanath: OK then, I shall call you Speedy and you will call me Sanath. Speedy:Agreed! Let us get down to business Sanath. I always like to start my interviews by requesting the subject to share some memories of early childhood, family and circumstances. Would you mind talking firstly about your parents? My father was Muhandiram Alexander Sirisena Lamabadusuriya and he hailed from Pahalagoda, Tangalle. My mother was Frances BeatriceWickramasuriyaand she was from Matara.I had three elder sisters, Dilsiri, Lakshmi and Chitrika, the elder two of whom qualified as Arts graduates and the third as a Pathologist. Speedy: What about your early schooling, any amusing anecdotes? Sanath: My earliest memory is my first day in school, which was Alethea School, close to 42nd Lane,Wellawatte, where I grew up. On the first day of schooling, I remember crying a lot. In January 1948, I entered the Royal Primary School (RPS) and on the first day my teacher (Mrs. Peiris), asked me to sing a song; I asked her, in which language I should sing and she replied that it was my choice. I sang “BaaBaa black sheep have you any wool” and I sang the same song for a second time in October 1962 when I was ragged by a senior student when I entered the Colombo Medical Faculty! We had four parallel classes at RPS, two for the Sinhala medium, and one for the Tamil medium and one for the English medium, 35 students in each. I used to travel to school in a rickshaw accompanied by an Ayah during the first few years and later on, in the school bus. Speedy:Any special recollections of your days at Royal Primary? Sanath: The headmaster at RPS was AF de Sa Bandaranaike and I won the class prize in my first year and thereafter the class prize or the prize for general knowledge (for the 2nd place), every year.MahendraCollure was the other regular winner alternating with me.Amemorable teacher was HP Jayawardene, who was our class teacher in 1953. He divided the class into two groups, Parrots and Woodpeckers. Each day one of us had to bring some flowers and he would give marks, which was added on to Parrots or Woodpeckers, displayed on a small blackboard, hung on the wall .We had to polish our desk top every term and he would give marks depending on the shine. There were regular “Do You Know” contests between the two groups. There were sporting events at the end of each term. HP Jayawardenepunished students by spanking the buttocks with a ruler. As I was in the front row, he borrowed my ruler and when he broke it one day, he promptly replaced it. By the end of the year I used more than dozen rulers, but replacement was not a problem for him because he was in charge of the bookshop! We used to play a lot of soft ball cricket and marbles during the intervals. Often my school bag which was a suitcase was used as a substitute for the wicket. 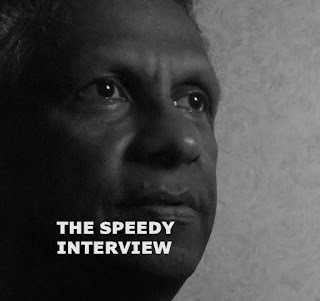 Speedy: You went on from RPS to Royal College, Colombo and as you know I too went to that exemplary school. Sanath: Yes Speedy, I did know. In fact Daya, your brother was with me at Royal College.Admission to Royal was by passing an entrance exam.At the end of 1953 all of us sat for the Royal College (RC) entrance examination and 75% of us were admitted to RC. All those who failed were admitted to Thurstan College (without sitting for another exam), which was situated next door. The results of this exam were announced over the public address system, by the Headmaster and there was a lot of tension awaiting the results. In January 1954 we entered RC and we were joined by another 35 students who had been successful at another entrance examination. They came from schools such as St. Thomas’ Preparatory School, Kollupitiya, ThurstanCollege , Ladies College etc. Speedy: Did I hear you correctly when you said Ladies College? How come? Sanath: Yes Speedy. That is because Ladies College, Lower School, was a mixed school at that time. Speedy: I see. I too followed the path in this way from St Thomas’s Prep School, Kollupitiya. I am therefore a hybrid! Sanath: You are forgiven!Again I won the class prize during my first year. I witnessed a Royal -Thomian cricket match for the first time that year, which was played at the Oval in Wanathamulla.I still have very vivid memories of the giant scoreboard, covered with ivy. Speedy: The Royal-Thomian cricket match is a key event of course. Would you like to share some of your recollections with our readers please? Sanath: Yes of course! Our team was captained by T Nirmalingam and the result was a draw. After that I have witnessed every Royal -Thomian cricket match, without a break, unless I was out of the country. In 1997 I came for the match from England. The first result I witnessed was in 1964 when we lost. Shaw Wilson captained our team and PremalalGoonesekere(younger brother of my second brother –in –law)captained the winning team. In 1969, I witnessed our first victory when our team was captained by EardleyLieversz. Two of my classmates captained the team (SS Kumar in 1962 and Darrell Lieversz in 1963 ) From 1957 onwards we used to parade the streets in an old “croc” which happened to be a hearse from the Highlands Funeral parlour in Maradana. There was plenty of singing within this “old croc”. Often we used to get in to scrapes with the police. Once when we were stopped by the police, we managed to get off because the IGP’s son was in our croc, (Sunanda whose father W Abeykoon was the IGP at that time). At the end of 1957, all of us (140) sat for the 4th Form examination and I came first in that exam and was awarded the Mudliyar Tudor Rajapakse Memorial Prize, whichwas a book voucher for 100 Rupees, a lot of money at that time. The Old Boy’s prize awarded to the second placed studentwas won bymy friendChannaRatnatunga (who later distinguished himself as Prof of Surgery at Peradeniya). 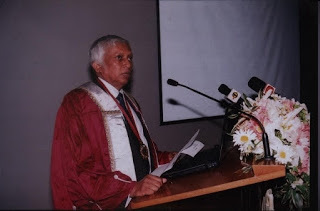 Channa and I had parallel careers until he entered the Peradeniya Medical Faculty after passing in all four subjects, whilst I failed in Zoology and had to follow a six months course in the Science Faculty in Colombo. As the buildings were not ready at Peradeniya, that batch, which was the first Peradeniya batch, eventually qualified in January of 1967 while we qualified in March 1967. My father, who was a strict disciplinarian, faulted me for failing in one subject but I had the last laugh when I told him that if I had passed in all four subjects he would not have had me in his house for five years! When I won the Rajapakse prize my father was overjoyed and he offered me whatever I wished for. I asked for a bicycle and I remember visiting Hunters in Pettah and choosing a Raleigh bicycle with all the possible accessories (gears, dynamo, speedometer, bell, stand etc)! This bike was envied very much by my friends who wanted free rides! Speedy: Could I ask you about your teachers at Royal and how much you were influenced by them? Sanath: Some of our memorable teachers at RC were, Elmo St, E de Bruin, EC Goonesekere, VijiWeerasinghe ,Thambapillai, Arulpragasam (who taught us Physics), “Zoo” Gunda(Guneratna, who taught us Zoology), “Cos” Dias (who taught us Botany) and Muthukumarana (who taught us Chemistry). I am sure I was influenced by them in a positive way. We were privileged to have one microscope for each student for our practicals (after I entered the University I realised that some of our batch mates who studied in some outstation schools had to share one microscope with the whole class and therefore the University entrance examination, which had practicals, was not a level playing field). Speedy: Any particular experience that stands out in your memory of school days? Sanath: I can think of one which I recall fondly.In December 1959, the Historical Association of our school organised a tour of India. About 30 of us with two teachers boarded a train at the Fort railway station and embarked on this tour. At Thalaimannar we boarded a ferry and landed in Danushkodi in South India and boarded another train. We travelled to Madras (Chennai), Calcutta (Kolkata), New Delhi, Saranath, Buddha Gaya and Agra. We spent most nights in various schools or in the railway carriage. Ken Balendra, SidathJayanetti, NilkamalSeneviratne,SrinathJinadasa,Rudran, LalithSenanayake and Dudley Fernandowere in our group. After three weeks of extensive travel, we got off the train at the Fort railway station. This trip cost us Rs. 200.00 and another Rs. 200.00 for pocket expenditure. (Indian rupee was equal to a Ceylon rupee). Speedy: You mentioned the late SidathJayanetti and you probably know that “Sigar”, as he was popularly known was my first cousin and Ken Balendraof course married Swyrie(who thus proved she had a lot of good sense by marrying a Royalist)! Sanath: Yes, I knewSigarwas your cousin and I agree with you about Swyrie’swisdom!Sigar used to play the piano accordion in our old croc. Speedy: I too used to play the piano accordion at Batch “do”s and my piano accordion was presented to us by Sigar’s father, KMD Jayanetti, my mother’s brother. Sanath: Yes I do recall you playing the piano accordion in our Final Year trip. Speedy: Do you still maintain connections with Royal College, your old school? Last year I was invited by the President of the Royal College Doctors Association (I happen to be one of the Patrons), to deliver a lecture about a carrier in medicine because the students opting for biology were dwindling. I gave a power-point presentation to Grade 11 students at the Navarangahala. I recollected my very first visit to the premises with a lot of nostalgia. Speedy: I suppose the next chapter in your life must be entering the Medical Faculty. I know it was very competitive. How difficult was it? Sanath: Hard work is always rewarded, don’t you agree?I sat for the University entrance examination in December 1960 and was successful, by passing in three of the four subjects, as mentioned earlier. The six months course in Zoology was a relaxed affair with only two lectures and practical classes for a week. I made a lot of new friends who had entered from other schools such as SenarathJayatilleke (St. Anne’s Kurunegala), Bertram Nanayakkara (St. Peter’s), IndraAnandasabapathy (St. Peter’s), Lucky Abeygunawardene( Ananda) etc. After passing in Zoology we had to wait until next October to enter the Colombo Medical Faculty in 1962. In the intervening period most of us worked in the Employees Provident Department (EPF Dept. ), of the Central Bank, located in the YMBA building in the Fort. We were paid the princely sum of five rupees per day, Monday to Friday. Every Friday evening; each of us received five crisp five rupee notes for which we waited eagerly. Then we used to walk to Main Street and purchase a pair of shoes or a shirt etc. Five rupees went a long way because the bus fare from Wellawatte to Pettah was only 25 cents and lunch 50 cents. We had a jolly time working in the bank. Speedy: We are now going to talk about our batch and some of your recollections. Sanath: In the medical faculty, in our batch there were about 150 of us and approximately about a hundred were boys. There were 33 old Royalists, belonging to four different batches at RC (i.e. those who entered grade 6 in 1951,1952,1953,1954 and 1955). This was because at that time four attempts were allowed at the University Entrance examination. Speedy: I remember very well the big change from school to University. Some became hostellers and others had to find their way daily by bus or other forms of transport. We had a fair number who had motor bikes or scooters. How did you get there? Sanath: I came on a scooter.This is how I got it.As I wanted a motor scooter very badly, I wrote a letter to my father to convince him about the advantages of having one, such as saving transport time and devoting it to studies. Reluctantly he gave in and in 1962 I purchased a Vespa motor scooter for Rs 2050.00 (The number was 4 Shri 955). I used it for about 8 years and sold it for Rs. 10,000.00 and bought my first car, a Triumph Herald for Rs. 12,000,00. This car would you believe it, was sold later for Rs.17,000.00 when I went abroad in December 1971! Speedy: The magic of monetary depreciation! Incidentally, my first car was also a two-tone Triumph Herald, which I bought from my brother when he sold it before going to England. Sanath: How interesting. They were good cars and quite in demand at the time. Speedy: Scooters and motor bikes always bring memories of the now famous “Law-Medical Invasion”. What are your recollections Sanath? Sanath: We were in the “Block” as you know Speedy, and most of the boys got into trouble at the Law-Medical. We had street parade on scooters, motorbikes and a truck, wearing black shirts displaying “skull and bones”. The truck invaded Devi BalikaVidyalaya at Castle Street and also the RC grounds at Reid Avenue, during the Royal-Trinity cricket match. Bertram Nanayakkara’s motor bike appeared on the front page of the Sunday Times, invading the RC grounds. For this misadventure an inquiry was conducted by the Dean, Professor OER Abhayaratne. Most of us were suspended for two weeks.During the inquiry, few of us owned up for invading the RC grounds. When the Dean asked us why we invaded the grounds, I said that I could not see the score-board properly from the boundary line and I wanted to check the score from the umpire! The Dean retorted that I was the inquisitive type! Few others also gave some similar lame excuses. Our senior batch punished us by subjecting us to a second rag. Speedy: You may or may not recall that I was one of the people who owned up and caused some consternation in “Patchaya’s” mind because my standing up meant that there was one extra person and how do you explain that? I said that the photograph showed JC Fernando in his scooter and as I was the pillion rider, I was obliged to stand up and be counted. So much for youthful honesty! I remember the second rag too. I was so annoyed, and frightened! I am passionately against rags! Moving on, please tell us about your experiences in the Faculty. Sanath:So many! Talking about our teachers, in the “block we had excellent teachers such as Hoover, Lester Jayawardene, Carlo Fonseka, “Bull” Seneviratneet al.During the third term of our second year we had pre-clinical classes on Saturday mornings. Our group was fortunate to have these classes with four excellent clinicians/teachers, namely Drs. WickremaWijenaike and George Ratnavale and Professors Milroy Paul and Fonseka. Speedy: We were indeed fortunate to have such excellent teachers, a fact acknowledged by many who have contributed to this Blog. Please go on. Sanath:At the 2nd MBBS examination I managed to pass at the first attempt. Speedy:If I may interrupt you Sanath, you did very well. As for me, this was a minor glitch in my career as I got referred in Anatomy. I knew I was going to fail during the Viva with Prof Waas who told me “Be careful not to stain your tie as you may need it again”; as I leant forward over a dissected corpse after feeling more and more tense as I knew it wasn’t going too well! For the benefit of readers who may not know the system, this marked the division of our original entrance batch to two groups, as those referred had to re-sit and fall back 3 months. Thus your group eventually “passed out” (my English colleagues are always amused at our use of this phrase which usually means “fainted”!) in March and we had to wait 3 months longer. Sanath:Our first surgical appointment during the third year was with Dr. Clifford Misso and the first medical appointment with Dr. WickremaWijenaike. As already mentioned, we had excellent clinical teachers such as Dr, RS Thanabalasunderam, Ernie Peiris, Oliver Medonza, DJ Attygalle, RP Jayawardene, JR Wilson, Noel Bartholomeusz, PR Anthonis. Niles, Jayasekera, ATS Paul et al. Speedy:Well done indeed! What about the Final year and clinical exposure? Sanath: Our final year Professorial appointments were rather strenuous. On the first day of the Paediatric appointment, Professor CC de Silva, conducted a class on infant feeding and wheeled in a trolley full of empty milk cans! (How things have changed over the years with emphasis on breast feeding!).Dr. Oliver Peiris who was a Senior Lecturer was an excellent teacher. Other outstanding clinical teachers during our final year were Professor T. Visvanathan and Dr. WJ Gomes. Speedy: You excelled academically as is very evident. Are you a Sportsman too? Sanath: Not really.During the student days I played a lot of billiards and in our Final year I was the runner-up to KithsiriWimalaratne. After graduation I joined the Health Department Sports Club at Castle Street and continued to play billiards. I won the billiards title at the club, the very first year that I participated. Later I represented the Health Department Sports Club in billiard and snooker tournaments together with Halim Sheriffdeen, Narendra Wijemanne and one other. Speedy: I am aware that you distinguished yourself as a student and topped the Batch in the Finals. Can you recall those achievements? Sanath: That’s true and I was chuffed. At theFinal MBBS examination in March 1967, I topped the combined order of merit obtaining a 2nd Class and distinctions in Medicine and Obstetrics and Gynaecology. Russel Paul came second. Speedy:Moving on to the postgraduate scene at the time, in our days, there were only two faculties of Medicine, just Colombo and Kandy, and Sri Lanka still did not produce enough doctors. When you passed out as we say in Sri Lanka, what was the scenario for the new graduates? Sanath: This was a critical period. The first Peradeniya batch graduated in January 1967 and after completing the internship, were not offered employment by the Ministry of Health (MoH) and were offereda monthly allowance of Rs. 400.00 and advised to attach themselves to a GP to be trained in General Practice. As this created an uncertainty, most of the new graduates started sitting for the American ECFMG qualifying examination, which nearly all passed very easily, including me. Then some applied for jobs in the US and that was the catalyst for the brain drain. By the time we completed our internship all of us were employed by the MoH. Speedy:Yes, I recall that period vividly when so many went to the USA. What about your internship? Sanath:I did my first 6 months of internship with Professor K Rajasuriya and Dr. Oliver Peiris. My co-intern was Russel Paul, who shared a room with me in the Main Quarters at the General Hospital, Colombo. In our quarters we had a very enjoyable time playing poker at every opportunity. I spent the next six months of my internship with Dr. PR Anthonis which I thoroughly enjoyed. On the very first day, he asked me why I had come to work with him and I replied that although I had obtained a distinction in Gynaecology and Obstetrics, I preferred Surgery. At the end of the appointment he asked me whether I would like to specialise in surgery.My reply was that I did not mind surgery but that I would prefer to work with my brain rather than be a manual worker! During the internship he used to invite me to assist him in the private sector during the evenings. There was a memorable trip to his wife’s ancestral residence in Kitulgala, which was next to the rest house. The American HOPE ship had berthed in the Colombo harbour during this time and some of the American surgeons visited the General Hospital to observe Dr. Anthonis in the theatre and were amazed by his skills. On few occasions, I visited the HOPE ship and assisted their surgeons. Speedy: What can you recollect about your post-internship period? Sanath:After completing my internship I spent nine months at the Chest Hospital, Welisara. During this time the posts of Senior Lecturer/Lecturer in the Departments of Pathology and Paediatrics were advertised in the Daily News and I applied for both. At the pathology interview which was held first, Professor Gerry Cooray told me that I should apply for a clinical post based on my MBBS performance. My reply was that I had applied for paediatrics as well, but this interview preceded the other one. To this day I am thankful to him because if he selected me, I would have been bored stiff working as a pathologist!-(With due apologies to my sister Chitrika who is a pathologist.) At the paediatric interview, Professor PriyaniSoysa was not happy that I had not done paediatrics for my internship. My reply was that as I had done medicine for the first six months, I could not combine paediatrics with it. (Priyani knew it was a rather hollow answer but the others were satisfied.) On my way out Mr. Walwin de Silva, Vice-Chancellor, who chaired the panel asked me “who plays more billiards, my son or you? !”.Walwin de Silva was our batch mate Sunil’s (Sunna’s) father. Speedy:The time comes now when you needed to obtain your postgraduate qualifications. As you know, it used to be necessary to proceed to the UK to sit for the MRCP Part 1 exam and I think 1971 was the first time it was held outside the UK. Sanath: Indeed. I was among 60 candidates who sat for the MRCP Part 1 examination in 1971 held in the Colombo Medical Faculty. There were two people dressed in a full suit, the British Councillor and one of the candidates. It was a three hour paper of 60 MCQs with five responses in each. Sharp on time the Britishsupervisor opened the package (at the same time as in London), and distributed the question papers. The first person to leave the hall was the local candidate wearing a suit (I have not seen him since then! ).The next person to leave the hall was me, after about one and a half hours (I did not answer all the questions). The very next morning I recalled all the 300 questions and gave it to my friends who were sitting for it next year. It was like gold dust because there were no question banks at that time. Later the billiards marker in the students’ common room got hold of it, made copies of it and sold those for a very handsome profit! I did pass this exam I am happy to say. Speedy: Sanath, it has been an immense pleasure to journey through your life and I look forward to the second part which will start with your voyage to the UK for further studies and all your considerable achievements in your Professional career since then. I would also like to talk to you about your own family and pose some philosophical questions to you to give us an insight into how you approach life with all its trials and tribulations. Sanath: Thank You. It has been a pleasure talking to you Speedy and I look forward to the second part. As I often do, I am making the first comment. Let me tell all viewers that I enjoyed reading through the virtual interview immensely, although I already knew most of the content beforehand. Speedy is to be congratulated for starting this series and I commend his creativity and originality. I really came to know Sanath closely during our Central Bank days where we worked at the same table. I still recall one of us reading out aloud " One - Mariae, two - Palaniandy etc". going through reams of paper pay rolls, while others checked. Our immediate boss was Gamini Wijenayake above whom was Mr. CH Fernando whom I later discovered was former RC cricketer Jagath Fernando's father. Although CH had a reputation as a strict disciplinarian, I got to know him personally and was a close friend years later meeting him often at social gatherings. His wife Estelle was my wife Mangala's boss at Musaeus Nursery. I maintained contact with Gamini Wijenayake too as he was a close relative of my late HEB colleague Dr. Merl Perera. There is one point on which I beg to differ with Sanath. Sanath being a former Dean, I am taking him on! On conclusion of the 6 months course, we had to wait only until June 4th 1962 (and not October) to start lectures at the Colombo Medical Faculty. Thanks for your kind comments Lucky. I do enjoy doing these interviews and I hope to carry on and do some more. I have to thank all those who agreed to be subjects because without their willingness and cooperation, these would not have been possible and of course you Lucky,for giving me your support. What a great insight into the interesting, successful and enigmatic life of one of our iconic batch-mates, Sanath L. Look forward eagerly to the next episode of his real-life 'drama'. Mahen has the great ability ask incisive questions brilliantly camouflaged. While reading the curriculum vitae of Lama,it reminded me of your unexpected failure at Anatomy at 2nd MB.It confirm the axiom,"failures are the pillars of success.I reiterate the quote from Mark Twain,"Not all horses were born equal".A few were born to Win. Yes Sumathi. It was a bit of a shock as I have not failed before and I was predicted by my colleagues to get a Class! But I had to accept it and went along and ended well in the end! It was my fault as I studied Anatomy more in an applied Anatomy manner and hated all the topographical details which would have interested a surgeon! But you cannot pass Anatomy that way. One of the good outcomes was that Lubber, myself, Patas and Vish bought a formalinised brain from Arumugam and dissected and studied it and to this day,I think it helped me. Let us forget the past.I also had several disappointing results at the Medical exams.However,I never failed any of the exams during the Medical school days.Dr.PR Wicramanayake used to mention about the importance of getting an Honour degree at the final,in order hang around teaching hospitals.Future success at higher exams were hampered without it,before the MRCP ,MRCOG part 1 exams were introduced.Primary FRCS was there,as far as we could remember.Even,to pass Primary FRCS,one has to be closer to Colombo. I had no interest in Surgery or Gyn&Obs. Part 2 will appear very soon.It has been completed. Even more interesting and I await your comments and observations. Advances in Technology: a Gift or a Curse?